How To Play: I wrote out the week's sight word on butterfly cards and placed them on the table along with last weeks target sight words. 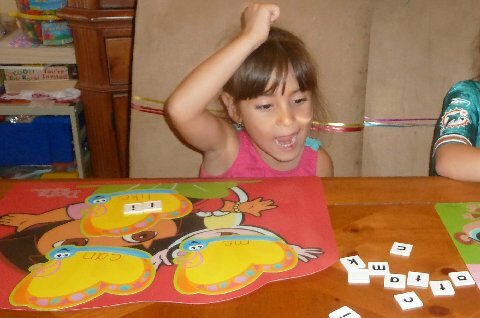 I would call out a word and the Lil Divas had to slap their caterpillar down on the correct word! 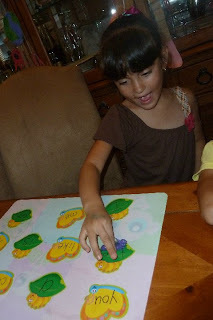 :) This game always produces lots of laughs and they beg me to play it throughout the week! I included last week's words (written on caterpillar cards) along with this week's words for some review as well. 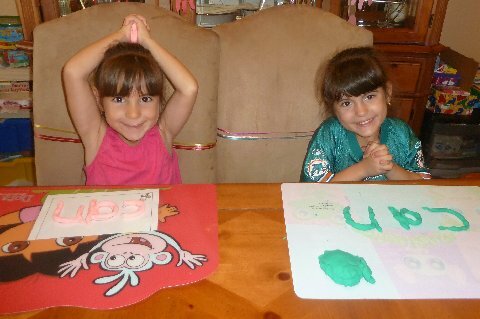 Forming Sight Words w/Letter Tiles - I wrote the weeks words on large butterfly cutout and provided the Lil Divas with letter tiles. 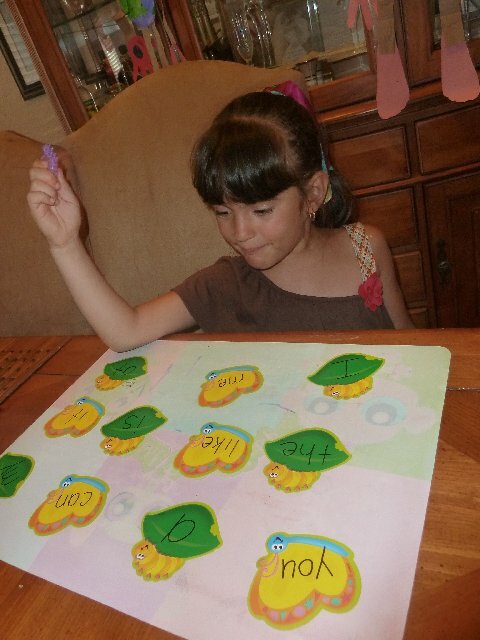 They got busy reading the words and then using the tiles to write the words. 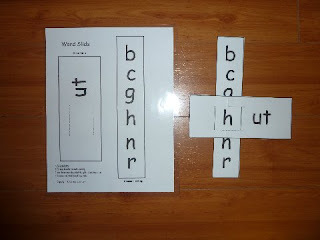 There was a sight word I wanted to spell and CAN was my sight word. and can was my sight word! We followed the above tune/format for each of our sight words! Sight Word Puzzles from 1+1+1=1 - both the Lil Divas enjoy these. We also reviewed last week's words again. 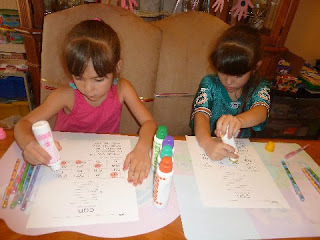 Play Dough Sight Word Cards (also from 1+1+1=1) Last week we used our Wikki Stix but this week we used play-doh. It was a bit more challenging - to work the dough into the right thickness, etc. This was great fine motor practice for the Lil Divas & they had fun making the words this way. I also made a mini sight word book for each of the Lil Divas. It is basically an index card spiral notebook in assorted colors. 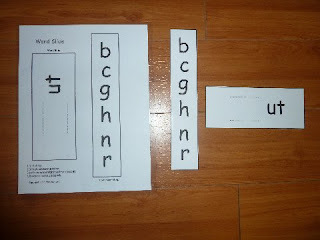 I wrote each of their sight words in the book and they flip through the book and read the words. I leave this within easy reach so they can do it whenever they like. The Oldest Diva likes to read them on her own. The Littlest Diva isn't as interested and I don't push it but it's there for her too. We used a fun Word Slide to review and sound out different -ut words like but, hut, cut & nut. I laminated and cut it out (it is really easy to make and use). The Lil Divas enjoy using it and reading all the words independently. We are currently reading Bob Books (Set 1) - Beginning Readers, Scholastic Sight Word Readers, and Starfall Books as well as Starfall.com. Plus, I use mini-readers that fit into our word family focus when I find some on the internet that are appropriate. 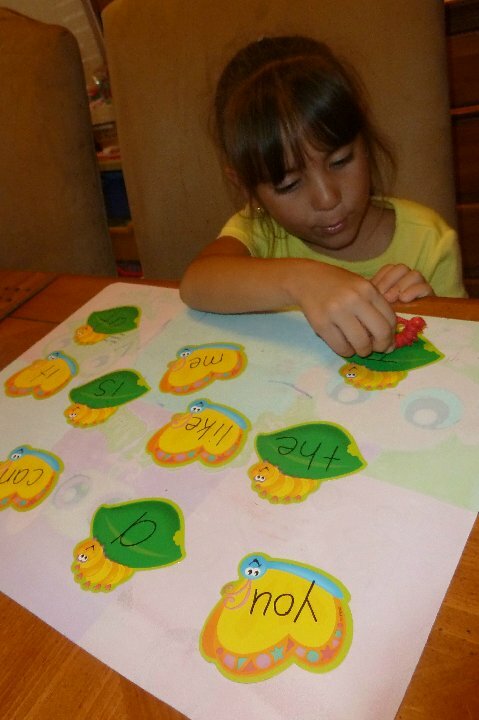 Do you have any fun ways to review sight words? I'd love for you to share your ideas with me! you do the most adorable things!!! love your blog!!! Lots of fun things for sight words!! Go to www.hubbardscupboard.org for lots of good free printable sight word and word family printables. Try looking under What's New. I love using these in my classroom.